sew.darn.quilt: "GROW YOUR BLOG" TODAY! This is a wonderful opportunity to meet & greet bloggers from around the world! Thank you Vicky for organizing this fun event. "Greetings, my name is Carolyn and I'm so glad to meet you." Blogging. Why do I do it? Why do you? I find it's my lifeline to the outside world! I live in a village on the Saskatchewan prairies of 175 people. Mama to this sweetie, too! a revived interest in sewing clothes. I've also taken a turn at both bear and doll making. As well, I create jewellery. I blog to connect. I blog to share. I blog to socialize. I blog to learn. "There's another reason I blog..."to have GIVEAWAYS!" I thought this would be appropriate! cathedral shape and in shades of gold and blues. 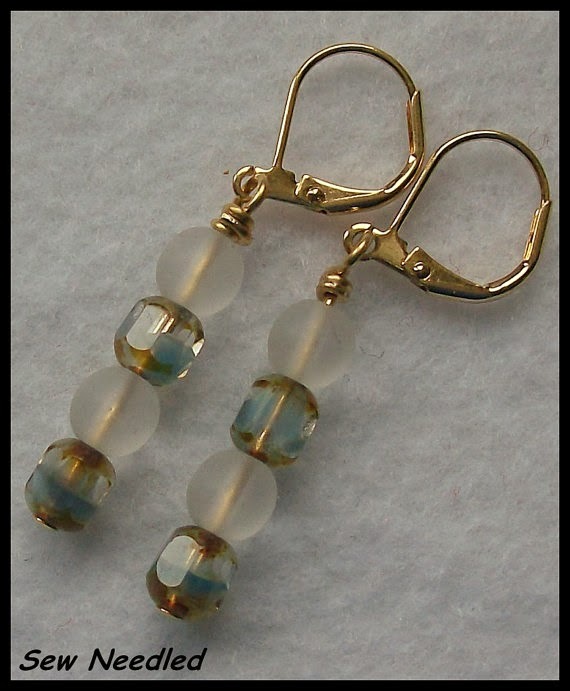 Coupled with lovely crystal matte beads these earrings are so pretty. secure lever back ear wires are gold plate and gold tone respectively. Please make certain that you are neither to be entered. either through your blog email or leave your email address in your comment. Draw date will be February 15th, 2014. Click Vicky's link above and meet a bevy of amazingly talented folks! My passion is quilting....the clean on anyway...haha!! Carolyn, I have been a follower for awhile and enjoy your blog! I was very touched by your recent blog post about getting back into jewelry making! My passion is my family! Thank you for the opportunity to win the gorgeous earrings that you made! One of my passions(beside family), is working on my textile art in my studio. I also love to blog! I'd say my passion right now is to sew since that's what I do everyday. I love following you around! Carolyn, I'm a follower. Just one passion ..... would have to choose stitching - cross stitching, embroidery, etc.. Your earrings are beautiful!! My passion is sewing, at this moment, quilting, but it has been garment sewing, craft sewing, murals,, etc and right now it is quilting. I am a follower and my passion is definitely quilting in all shapes and forms . Thanks for a great blog . Hello! I quilt and make jewelry too, but from natural rocks that we find and tumble ourselves, so would love to win yours! Nice giveaway!!! I was going to say my passion is quilting, but that would fall in second. My first passion is my family. My passion is fabric - not just quilting but dressmaking/dyeing/printing too! Thanks so much for participating Carolyn! Lorraine (GYB team volunteer). My passion is quilting! Thanks for the chance to win such beautiful jewelry! My passion is my family but I love quilting now as well. Just started blogging so thank you for following me and I hope we get to know each other really well. I have only visited Canada once but had such a good time and such wonderful scenery. I live in the UK and will be blogging about my crafty passions and life here too. My passion is making things with fabric. Of course I follow you. Wouldn't want to miss any posts from you. I just love to create, your earrings are looking wonderful, beautiful artwork. Your earrings are beautiful! My I have lots of things I am passionate about family, church, but I think you mean sewing. It truly makes me happy to create! I am a follower on bloglovin! Happy about it too! 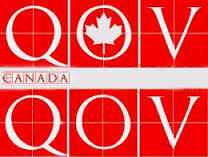 My passion is quilting...woaw...is it ever!! Here from GYB. I have been following for some time now and love your posts. My passion at the moment is sewing of all sort, dress making, quilting, it doesn't matter I just love getting the machine out and making something. I love cross stitch and crochet. Hi Carolyn, I'm Linda from craftygardener.ca and I found your site from the Grow Your Blog event. I love meeting new bloggers especially Canadian ones. I'd love to be entered into your give away. I can be reached at my site or at craftygardener at xplornet dot com (don't have a Blogger profile) Hope you have time to visit my site and enter my give away. It has been nice browsing through your blog. 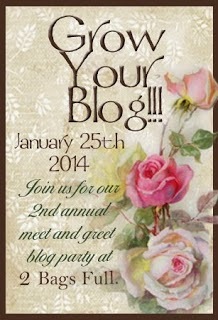 Stopping by from the Grow Your Blog Party. A quilter and cross-stitcher, not much else makes me happier! What a fun blog! The earrings are beautiful. I am a new follower. Quilting and machine embroidery are my passions. Your dragonfly is lovely. Thanks for the giveaway chance, the earrings are awesome. Hi there! Thanks for stopping by my blog earlier! I have a passion for just about anything that lets me create. I have a list a mile long of mediums I love to work with. This the second time I've come across 'blackwork' in 2 days, and I just love it! I look forward to visiting again fellow SK prairie dweller. My passion is teaching- Specifically teaching kids. Hi Carolyn. I haven't seen blackwork before, but I really like it. I think I will use the black on my next project. My passion is sewing--anything and everything. Sewing just makes me happy. Thank you for the giveaway. Hey Carolyn, Love your blackwork, it is gorgeous and so well done. You look like you have a lovely family and your pieces are lovely. I have way to many things that I am passionate about, call me an ADD victim of passions. It has been lovely getting to know you. those are lovely stitches and this farm is my passion and that includes everything about it - spinning, churning, baking, cooking, sewing, knitting, quilting and the animals. visiting via Vicki's GYBParty and enjoying your blog post. My passion is my kids with quilting next in line. I am looking forward to seeing your creations in jewelry. It is nice to return to an old familiar passion. 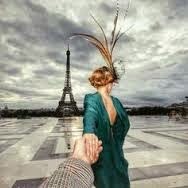 I, of course, follow you! ;). The earrings are beautiful! Hello, Carolyn. My passion is my family followed by quilting and gardening. Thanks for the chance. I enjoyed your post. Good to me you via GYB. Hello Carolyn, nice to meet you - I can't imagine living in such a remote place...as another commenter said, I guess it's fun sometimes, but not so fun at other times! I guess my passion is for Life, but of course I love my dear Mr FD, our four cats and the crafting I do. I am also what is called, here in France, "a gourmande" - someone who loves their food! - as my Fat Dormouse blog shows! You have made many beautiful things. My passion is quilting but I am also getting back to some cross stitch. Cross stitch, bear and doll making, and jewellery definitely my cup of tea. I am very curious about how the joints for bears work. I was looking at one of online shops for bear making and the materials sounded extremely complex. Will look about for your creations. About me ... well you have already discovered my small blog. My passions ... probably too many to list. I love books, painting, jewellery, doll making, cross stitch (hence the blog) ... I even dream that some day people will cross stitch my things (gosh awfully personal). I have a small crafty/family based business and in the world of real life want to be an accountant. I want to help people make their dreams and small businesses come true ... that sounded awfully soppy. I should probably stop ... after all one should not mention the stamp collecting, and the postcards, and ehm potentially even soap making. Greetings from St. John's, Newfoundland, Canada. Your projects are great! I enjoy working in my studio. Thanks for the giveaway. My Passion is Making Cards but, I like all things creative n thrifty trying to dabble in any go green project I can and I found you from the GYB party.I don’t have a lot of blog time in for I just started blogging when I joined the blog party it was my New Year resolution. 600 entries and I am Reading my 396 blog and more to go. Four days left to closing Whew a lot of good read and great giveaways too. My site http://overboardcreations.blogspot.com/and contact info is ovr_brd@yahoo.com I believe inspiration comes from all facets of life even knowing the great people out there with wisdom and knowledge the do's and don'ts and even the wonders of life from a personal point of view. And loving the crafting networks. Hello Carolyn. Sending you a wave from NSW Australia, via the GYB party. Nice to meet you. Hi, nice to meet you I was born in Saskatchewan may years ago but left in 1982 for Calgary. We have been there ever since. Thanks for sharing. I have subscribed to your RSS fed. Hello, nice to meet you. You do a great range of crafts, I'm a new follower! Please don't enter me for the giveaway as I don't wear earrings. The stones are really pretty on the earrings. My passion is creating just about anything. So nice to meet you! Greetings from the Pacific Northwest. I enjoyed visiting your blog. My passion is knitting and quilting.